CHS1 hike led at pace 1.5-2.0 mph. Ascend the Fragrance Lake trail, loop the lake, then continue on to Lost Lake in Larrabe State Park. This activity is part of the Conditioning Hiking Series - Seattle - 2019 course. To register for the course, register or cancel lectures and field trips, or cancel entirely from the course, visit the course page. 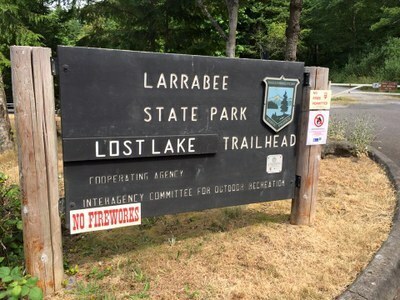 Meet at 9am just inside the main entrance to Larrabe State park about a half mile past the 14 mile marker on highway 11. A Discovery pass is required. Restrooms close to parking. Alternatively, carpool from the Ash Way P&R north of Lynnwood leaving at 7:45am for people coming from King County. Enjoy year round accessible trails in Larrabe State park with views of the San Juan islands, lovely forest and secluded lakes.